Kirby’s Epic Yarn is one of my favorite games for the Wii. Epic Yarn is the only Kirby game I’ve played, and while it’s considered a far cry for the series, I absolutely love it. The level designs are fun and engaging, the power ups are incredibly unique, and the music is excellent. 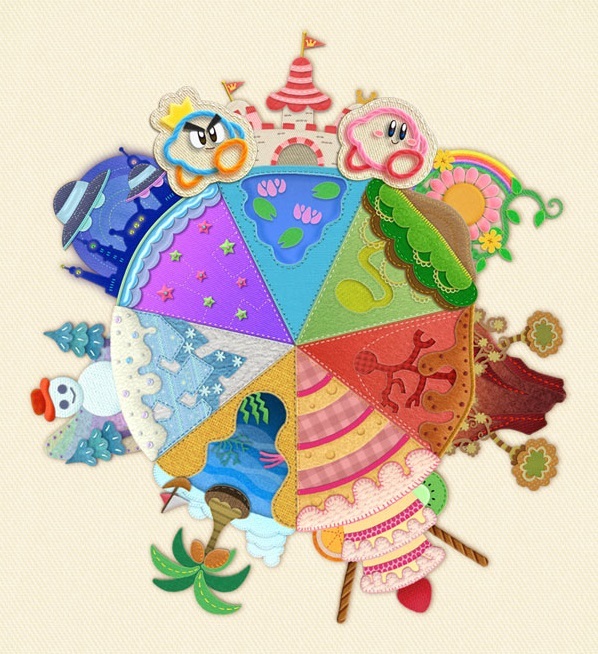 I was completely obsessed with unlocking all of the furniture and customizing Kirby’s Pad, and I love every single one of the adorable roommates. Kirby’s Epic Yarn is such a cute game, and whenever I want to play the game again, I revisit some of my favorite levels. The dinosaur designs are adorable and distinctive, and I really like that the level takes advantage of the dinosaurs’ presence, forcing Kirby to rely on them to progress. The music is catchy, and overall, the theme of this level is very stylized and fun. Melody Town features musical instruments constructing the The town is comprised of musical instruments, creating some great set pieces. The music, as a result, is excellent, and the interactivity with the instruments makes the level really memorable for me to play through as well. A level that embodies the spirit of Christmas, the Evergreen Lift is my favorite level in the game. The entire Snow World is great, but Evergreen Lift genuinely makes me look forward to the Christmas season every time I play through it. The music is upbeat and joyful, and the lift taking you up the Christmas tree is very fun as well. It’s a bit of an unusual level compared to some of the more standard ones in the game, and for all of these reasons, it definitely stands out for me. I have a lot of fond memories of Kirby’s Epic Yarn, and while it’s sad that we never got a sequel to this fun game, I’m content turning it on and blitzing through some of my favorite levels and designing my apartment room in the meantime. I love this game! Nice choices when it comes to the best levels. I would love a sequel as well. But with Woolly World out there, I am not sure we will get it.